At the end of a hard day on the job, nothing has been hit as hard as your work boots. They protect your feet from dropped tools, falling debris and flying sparks, and they trudge through dirt, dust, mud, rocks and whatever substances your workplace might throw at your feet. Outdoors, they fend off rain, snow, ice, slush and all of nature’s toughest elements, keeping your feet dry all the while. Repay the favor with these tips for proper work boot care. To start with, take care to select a strong, quality leather work boot that’s tough yet comfortable. This is not a piece of work equipment you’ll want to skimp on. Good protective work boots aren’t cheap, but a well-made pair can, with the right care, provide quality foot protection for a couple of years, even with frequent hard use. Follow these four tips to extend the life of your most important footwear. Like work gloves or other protective apparel that regularly sees a lot of action, your footwear requires consistent external care. Remove any visible dirt, grime or debris from the work boot at the end of each day. This may seem like a no-brainer, but many people wait too long to clean their shoes. As a result, certain material that may be stuck to the boot, such as mud and concrete, can harden over time, making it more difficult to remove, discoloring the shoe’s exterior, and even negatively impacting the boot’s performance. Oiling your work boots with great care is possibly the most important step in maintaining them, but it is also one of the most neglected. The oiling process is easy, so there is no excuse for skipping this step. Choosing a quality boot oil product, such as mink oil, is just as important as selecting a quality shoe. Apply softly, using your hands or a small boot brush. Be sure to rub in well at the seams. Allow to dry for a few minutes, then wipe off any excess oil with a soft towel or rag. Oiling your boots will improve the performance, appearance and comfort of your footwear. Take care to oil your work boots at regular intervals for a surprisingly long shelf life. For a polished appearance, buff the leather afterwards with a soft rag using long, circular strokes. Many of the better boot brands contain weatherproof exteriors and interiors made from materials such as Gor-tex for high-performance in wet conditions. However, over time, your cold weather work boots could use some care to ensure they stay as dry as possible. Remove the insoles and coat the interior of the boot with a weatherproofing spray and spray around the lace area as well. This step is particularly important during winter months when you may be wearing your boots steeped in snow or standing water for extended periods. Properly storing your work boots when you are not using them can significantly extend their life. Putting a shoetree inside the boot helps to maintain its shape and smooth out the lining and insoles, enhancing the boot’s comfort and appearance. Shoetrees can also break in new footwear, helping to prevent the discomfort and blisters that often accompany the first few wearings of a new pair. A cedar shoetree provides the additional benefit of wicking action, absorbing moisture, acids and salts from the shoe’s interior, helping to ensure a dry boot. If you are working several days a week, you should own at least two pairs of boots, and rotate wearing them daily. This kind of care helps to extend the life of each pair, and ensures that the work boots have sufficient time to dry between each use. Don’t let the sun wear you down this summer. At Enviro, we take heat stress seriously and are dedicated to providing you with the best information and heat stress prevention supplies necessary to keep you cool this summer. After an uncharacteristically warm winter, this summer has the potential of being warmer and dryer than previous years, which means heat stress prevention is crucial. When your neck is cool, your entire body is cool. Your neck absorbs the most heat when exposed to the suns rays and puts the most stress on your body, wearing your muscles down and resulting in fatigue. Neck Shades are the best way to protect your neck from sunburn and extreme heat exposure and they are not just for hard hats. Neck sun shade is great for any outdoor activities including; sporting events, fishing, hiking, lawn mowing, and more. The possibilities are endless with a protective neck shade. For those summer days that push the extremes, a Cooling Vest is the best way to keep your body temperature down and prevent you developing heat stress. Cooling vest for adults have a slim-line design that conform to your body and are worn under personal protective clothing or other garments and keep you cool for several hours. The special crystals inside the vest absorb and retain the temperature of water (that it has been soaked in), which then releasing a cooling sensation through your body. 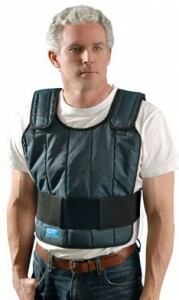 Cooling vests are not just for industrial worker, but are also great around the house or on camping trips. Another great way to keep your body cool during summer. 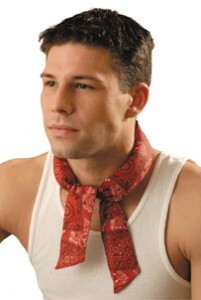 With a Cooling Bandana, you can get cool in minutes. Simply soak in cold water and feel the coolness for days. It works without freezing or ice and can be reused thousands of times without loosing any effectiveness. Cooling bandanas are used by people around the world to keep them cool during any outdoor summer activity. Remember, Cooling Clothing is a cost-effective way to not only prevent sunburns, but prevent heat stress during the hat summer months ahead so you can stay cool while on the job, or out on the trail. DuPont wants to see photos of you wearing Tyvek Coveralls while working on a “dirty work” project or after the “dirty work” project is complete. The DuPont Tyvek 2012 Dirty Work Photo Contest is a two-part promotion consisting of the Photo Contest and a Sweepstakes. The contest runs between May 1 to September 30, 2012 and there is no entry fee required. Photo Contest: Submit a photo for your chance at a grand prize of a $2,500 travel voucher or in the form of an American Express Gift Card. The winner will be based on how well the Tyvek coveralls and “dirty work” project are portrayed in the photograph. Sweepstakes: there are a total of 5 sweepstakes prizes of $50 American Express Gift Cards each. Each month a random winner is drawn. Visit the 2012 Dirty Work Photo Contest website for more information. Remember to pick up your Tyvek Coveralls and other personal protection equipment (PPE) at Enviro Safety. Missy | April 19, 2012 | Comments Off on What is Arc Flash? 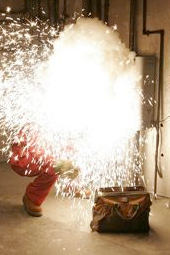 While there are many hazards in the workplace, none is more dangerous than Arc Flash. More than 2,000 workers across the country are injured by arc flash every year and have to be treated for severe burns. Injuries caused by the flash can last for months to a lifetime. With the proper flash protection, including flame resistant work gloves, pants, jackets, overalls, arc flash suits and other arc flash clothing, you will protect yourself from severe burns when working around electrical currents. The National Fire Protection Association (NFPA), defines it as being an electrical current that passes through air when insulation or isolation between electrified conductors is no longer sufficient to withstand the applied voltage, leading to an electrical explosion that can reach temperatures of up to 35,000°F. What causes an Arc Flash to occur? Most flash arc is caused by a tool or other element could compromise the distance between two energized components. The NFPA 70E-2004, Standard for Electrical Safety Requirements for Employee workplace, requires employers to provide their workers the the appropriate flash protection Personal Protection Equipment (PPE). Arc clothing has flame resistant properties that protect you from getting burned if exposed to an arc flash. Made from non-conductive materials, such as Modacrylic or Nomex that won’t ignite when exposed to a flame. Hi visibility arc flash safety vests give you added ANSI certified high vis protection. During emergency response activities or recovery operations, workers may be required to work in cold environments, and sometimes for extended periods. Cold stress is a common problem encountered in these types of situations. 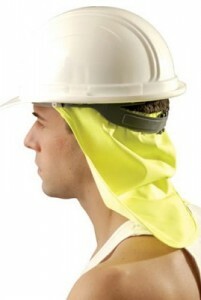 Enviro Safety Products has cut the prices on some of our most popular winter safety gear. Check out the savings now! The following will help workers understand what cold stress is, how it may affect their health and safety, and how it can be prevented. How cold is too cold? According to OSHA, when the body is unable to keep itself warm, cold induced stress may result. Tissue damage and death are possible outcomes if precautions are not taken. Air temperature, wind speed, moisture in the air, and contact with cold water or surfaces all increase the possibility of greater damage. How does the body react to cold conditions? When in a cold environment, most of your body’s energy is used to keep your internal temperature warm. Over time, your body will begin to shift blood flow from your extremities (hands, feet, arms, and legs) and outer skin to the core (chest and abdomen). This allows exposed skin and the extremities to cool rapidly and increases the risk of frostbite and hypothermia. Combine this with cold water, and trench foot may also be a problem. Protective clothing is the best precaution to avoid injury due to cold. When working in cold weather, wear the proper clothing. Three layers works best with the outer layer protecting the worker from wind and rain while still allowing some ventilation. Wear a hat or hood and insulated footwear. Drink plenty of liquids, avoiding caffeine and alcohol. It is easy to become dehydrated in cold weather. If possible, heavy work should be scheduled during the warmer parts of the day. Take breaks out of the cold. Try to work in pairs to keep an eye on each other and watch for signs of cold stress. Avoid fatigue since energy is needed to keep muscles warm. Take frequent breaks and consume warm, high calorie food such as pasta to maintain energy reserves. Hybrid Electric Vehicles (HEV’s) account for only about 3% of vehicles on the road today, but that number is on the rise and the average mechanic has never serviced a hybrid vehicle and is unaware of proper safety procedures and regulations. Every HEV has a high-voltage hybrid battery that carries over 400 Volts of electricity and contains corrosive fluid that can be lethal if the proper safety procedures are not followed. Protection from High Voltage Mechanics are required to wear Electrical Gloves (also known as lineman gloves or arc flash gloves) when servicing the high voltage system and battery only. While electrical flow from the high-voltage battery pack stops when the car is turned off, the current may not be dissipated from the system for up to 10 minutes. Ensure that your gloves are Class “O” and rated for 1,000 Volts. Mechanics must also inspect their gloves for holes since the smallest of openings can draw electricity looking for a ground. Since the high voltage system is not grounded to the body or the chassis, gloves are not required when performing other routine maintenance. Protection from Corrosive Liquids – Unlike lead acid batteries found in gas-powered vehicles, HEV’s NiMH hybrid battery contains a highly corrosive electrolyte fluid (pH 13.5), that will dissolve your skin if contacted with. When handling the hybrid battery, mechanics should be wearing the following to avoid contact: Splash shield or safety goggles, Tyvek Coveralls, Rubber, Latex or Nitrile Gloves and Rubber Boots. The overall risk of coming in contact with the fluid is low since it is stored in a self-contained enclosure within the battery. Hybrid Electric Vehicles bring new, highly dangerous hazards to the work environment and service managers should develop service protocols for their employees to help prevent any future injuries. Independent hands-on and online courses are also available to mechanics wanting to learn how to service a hybrid. Simply search “hybrid vehicle training technicians” and find the course that is right for you. Asbestos is the name for a group of naturally occurring minerals that resist damage from extreme heat, electricity, and chemicals. 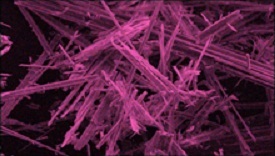 Asbestos has been used as a flame retardant in thousands of products, such as textiles, insulation, building materials, and brakes for many years. It wasn’t until the 1970’s that scientists discovered the dangers of asbestos, linking it to thousands of cases of respiratory disease. Since then, asbestos use has been restricted, and even banned completely in some countries. If you looked at asbestos under a microscope, you would see tiny barbs at the ends of the fibers, which serve to anchor the fibers to lung tissue. Once inhaled, asbestos particles are nearly impossible to dislodge. The more you are exposed, the higher your chances are of developing respiratory problems, even though symptoms may not be present for decades. The two illnesses most often associated with asbestos exposure are asbestosis and mesothelioma. While some treatments have been developed for these diseases, the overall survival rate remains poor. Proper use of Personal Protective Equipment has been proven to greatly reduce both primary and secondary exposure levels. Clothing – Disposable protective clothing which completely covers arms, legs and hair needs to be worn at all times. Work gloves suitable for chemical handling are needed as well. Respirators – A respirator rated specifically for asbestos abatement by the NIOSH should be worn at all times. Disposal – All contaminated garments should be removed immediately and sealed in a plastic bag to prevent cross-contamination. Dispose of bag according to local laws and regulations. For the ultimate Chainsaw Protection, Elvex Protective Clothing is the answer. Whenever you work with dangerous power tools like chain saws, you should know how to protect yourself. 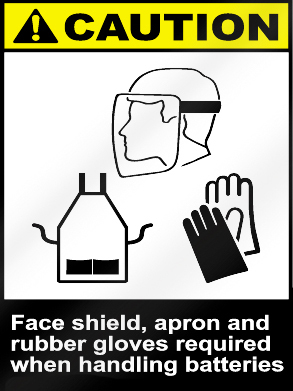 From the right work gloves to goggles, shielding from debris is crucial. For those using chainsaws on the job making sure you are fully protected is extremely important. Chainsaw related accidents are among the highest incidents of occupational injuries. Elvex Chainsaw protective clothing can decrease the extent of an injury and can turn a devastating injury to a minor one. Chainsaw Vests protect from chainsaw kick back injuries. With Elvex’s famous Prolar protective pads, chainsaw protection is at its best. Prolar pads work by jamming the chain against the bar and sprocket. Elvex Prolar pads have been tested by Underwriter’s Laboratories (UL) for conformance to ASTM F-1897-2008. Elvex offers Chainsaw Chaps that meet the requirements of ASTM Standard for Leg Protection for Chain Saw Users (F-1897-2008). This standard requires that the chaps can stop a chain saw running at 2,750 feet/minute tested at both 45Â° and 90Â° to the longitudinal axis of the test sample, under controlled laboratory conditions. The ASTM Standard is a revised regulation as the ASTM increased the performance requirements for chainsaw test speed from 2,500 fpm to 2,750 fpm.